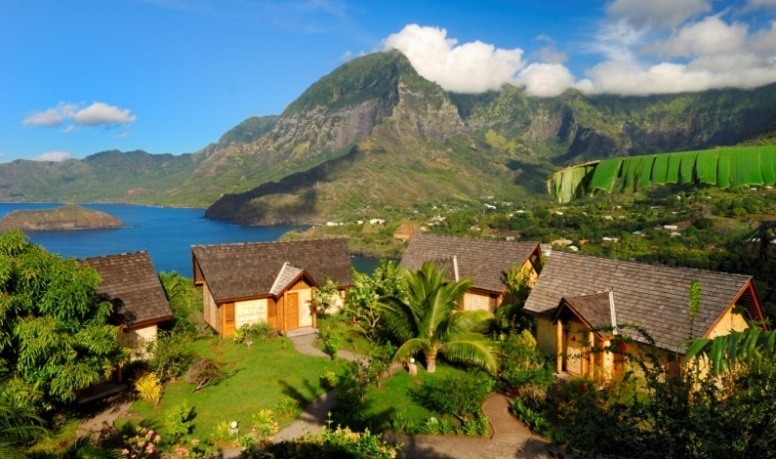 The smiling tiki of Utukua is hidden in the tropical forest at the foot of the Hiva Oa Hanakee Pearl Lodge hotel in the Valley of Punaei. Right after the visit of this surprising tiki, you will then be led to Tehueto site, famous for its petroglyphs. 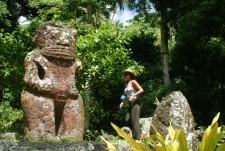 It is the only place of Tahiti and Her Islands where “fishmen” are depicted. You will cross various valleys and villages on a mind-blowing road along the coast. You will visit Te lipona site, famous for its enormous tiki such as Takai Vous traverserez différentes vallées et villages sur une route époustouflante le long de la côte. 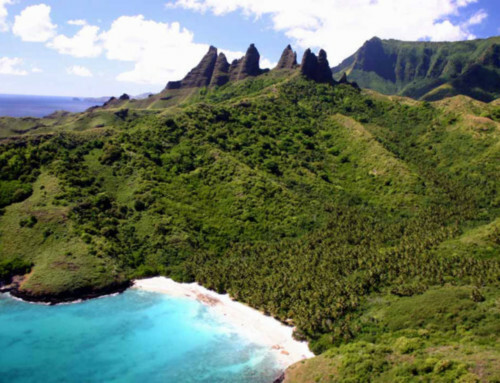 Vous visiterez ainsi le site de Te Iipona, célèbre pour ses tiki colossaux tels que Takai which is 2,43 meters high and the exceptional Makaii Taua Pepe carved in an original way. At lunch time, Marie-Antoinette, an inhabitant of Puamau, will invite you to her table for a delicious feast and for an afternoon of relaxation.